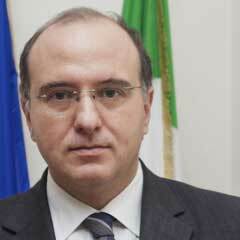 Stefano Scalera is currently Counsellor to the Minister of Economy and Finance for attraction of investments. Among his responsibilities, Stefano is currently working on the so-called “Juncker Plan” and on the reform of the financial system. Stefano is member of the Bureau of the Housing and Land Management Committee at the UNECE. He is also board member of TELT, the company in charge to realise the Torino – Lyon railway connection. Author of various publications on the subject of financial markets and real estate, his research interest include Public debt, e-procurement and Europe Integration. From Feb 2011, Stefano is Managing Director (Dirigente I fascia) at the Ministry of Economy and Finance and from 2014 he is Member of Master EREF Scientific Commette – Executive Real Estate Finance.